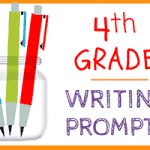 Second Grade Journal Writing Prompts— Recently, a lovely reader named Trina left a comment on our post about Elementary Writing 49 Ideas and Story Starters for Kids. 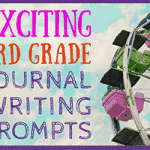 She contributed 46 fabulous journal prompt and writing ideas, and I had to share them with you. 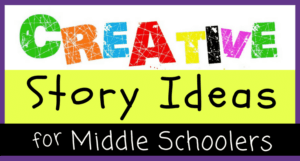 After practicing daily writing prompts for just a couple weeks, you’ll notice an improvement in your student’s writing and in their abilities to present clear, cohesive reasoning for their beliefs. 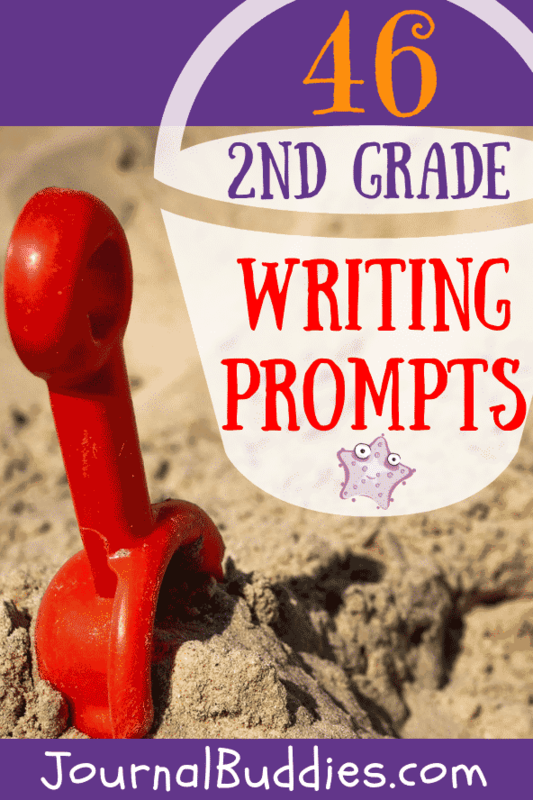 Use these writing prompts for second-grade students as a fun way to get your class interested in writing and to help them develop their language skills. 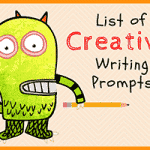 Also, as an added bonus, at the bottom of this post, there’s a listing of resources to other writing prompt articles organized by grade. Be sure to check them out. 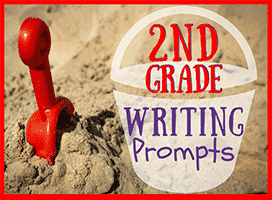 Okay… without further ado, below is Trina’s fabulous listing of 2nd-grade writing prompts! What’s the most important thing you would like to do this summer? Go for a walk. 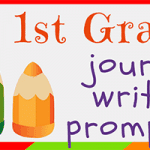 Write a sentence about the walk you went on. Write about a trick you would like to play on your mom. What is your favorite thing to do when you play outside? What is your favorite thing to do when you play inside? Tell about what you will be when you grow up. 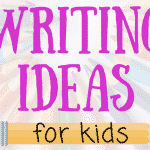 Write about what you would like to do for your next birthday. Make a list of groceries that you think mom or dad should buy for you from the store. Tell about an animal you would like to have for a pet. What would you do if there was a dragon stuck under your bed? What is the funniest thing that you have ever seen? What is something you would like to learn more about? 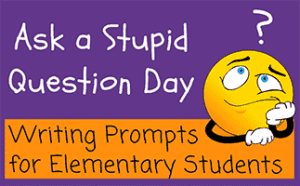 What kind of pet do you think a teacher should get for their classroom? Tell about your most favorite book. Tell about your favorite holiday. Tell why it is your favorite. Tell about your favorite restaurant. Tell why it is your favorite. 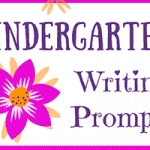 Write a poem about what you think second grade will be like. Do you think you will get married?? 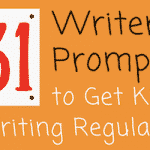 Write about what you think it will be like. Make a list of the things you are most thankful for in your life. Which season do you like the most?? Why?? Which season do you like the least, why???? You just won $1,000,000. What are you going to do first? Tell about a time when you were kind to someone. Tell about your favorite song. Write a story about the mysterious zizzybaloobuh that you just found in your bathtub. What is something that makes you ANGRY!!!!! Tell about your favorite sport. Tell about the last time you cried. You found a magic wand! What would you do with it? Tell about your favorite food and why it is so good. 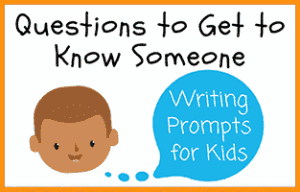 Have a family member write something about you today. What would happen to you if you never went to school? My favorite animal is a…. This is a list of things I like to do when I can’t watch television or play video games. What would you like to say to President Obama? What is something you are really good at doing or creating? What should you do if there is a bully on your bus? If a cat could talk, what would they say? If you had to eat one food for the rest of your life, what would you choose? Do your birthday wishes come true? 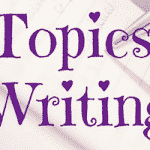 Write about something that annoys you. Why didn’t you like it? If you could be a movie star, what movie would you be in? What is your favorite kind of music? Why? If you could have any home in the world, what would you choose? Why? Would you rather live on a farm or in a city? Why? Do you get scared in the dark? Why or why not? Describe yourself in four words. Why did you pick these words? 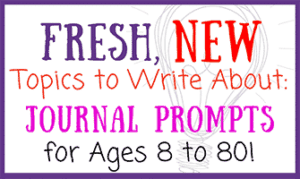 Write a story about a puppy with a very special superpower. 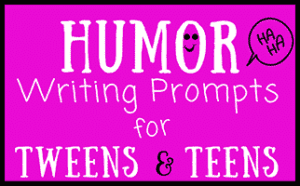 Write about a time you were embarrassed? How did you feel? If you could create a new holiday, what would it be? What do you do when you have a fight with a friend?